A specially formulated wax-based liquid cream for sports footwear. 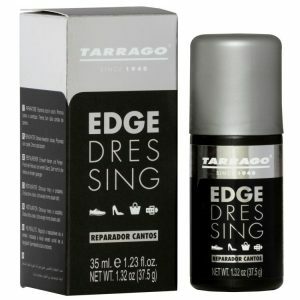 Nourishes, cares and maintains the flexibility of the leather. 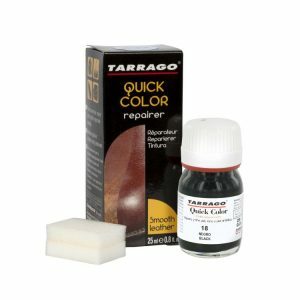 Continuous use will prevent cracking and its high opacity will revive the color and cover scuffs. 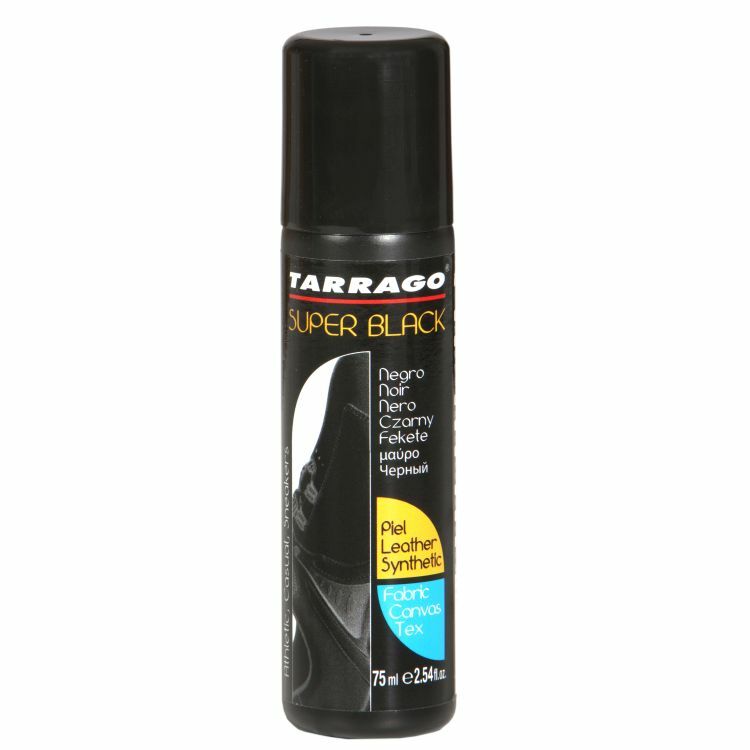 Tarrago Super Black is a specially formulated wax-based liquid cream for sports footwear. Thanks to its high quality it revives the color and covers stuffs easily. 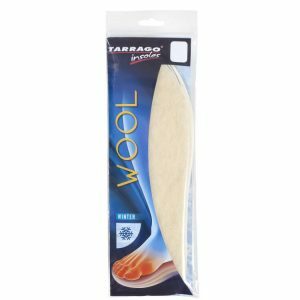 Its sponge design allows an easy application and a high-quality finish after the first use. Nourishes, cares and maintains the flexibility of the leather. Continuous use will prevent cracking. – Once dry, it does not stain. 5 – After using, clean the applying sponge with water to avoid the rests of black cream to dry and damage the sponge.